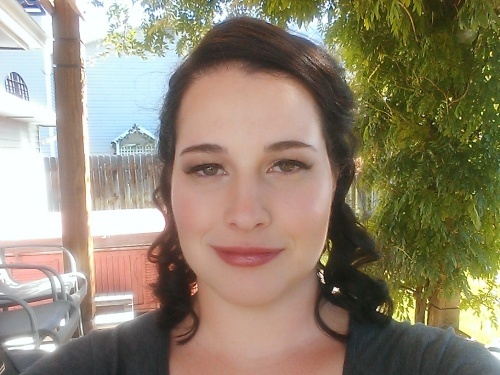 Sarah offers massage services, specializing in massage to relieve stress and chronic pain. Sarah’s business, Blue Mountain Wellness & Massage, has a website with more info about her business, specialties, and more. This session is perfect for those on the run, who has an injury needing a medical massage or sports massage. This forty-five-minute massage will work one area of focus to facilitate healing. This session is great for one or two specific area or a full body massage. Use this time after your session to meditate, sleep or just enjoy some alone time. Reclaim your health by investing in your own self-care and wellness with the purchase of twelve, ninety-minute sessions. You will receive $5 off, free aromatherapy for every session (savings of $180) and a self-care kit as a gift! Book Your Appointment with Sarah Now! Massage has always been a passion of Sarah’s, she remembers when she was a small child, taking off her dad’s boots after a long day at work and massaging his feet. This love continued into her teens and when she graduated high school she immediately enrolled in massage school. Sarah graduated from Eagle Gate College Massage Therapy program in 2008. Over the last decade she has worked in various settings and has found that she truly connects with those who have been overworked, high stressed and in pain. With managing her own chronic pain, she is able to connect with her clients on a deeper level, through her own experience and understanding. Her clients often rave about her unique ability to have gentle touch but with purpose. Finally giving them an opportunity to manage pain and reconnect with their bodies. This leads many to regain control of their lives and their ability to work, play and live their life instead of just trying to survive. Blue Mountain Wellness is dedicated to empowering those who suffer from chronic pain and stress to reclaim their health by providing custom massage services. We seek those who are committed to their healing journey. With our peaks of wellness service, our expert massage therapists will help you regain control so that you can become you again. Copyright 2018 Mist Day Spa. All Rights Reserved.